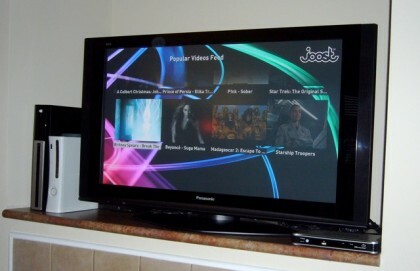 Dave Zatz: It’s been well over a year since DivX and Joost discussed the possibility of bringing Joost content to the television. And suddenly, with no fanfare at all, a DivX Connected plug-in has appeared. Mari Silbey: Voltaic Systems has just announced a new computer bag – the Generator – designed to charge a laptop computer solely with stored energy from the sun’s rays. Dave Zatz: Over the years, I’ve owned several iPods. And along with them, several car charging solutions and/or car mounts. They’ve run the gamut from a low-tech cup holder to higher end solutions from Monster and Belkin. But my new favorite, by a long shot, is the latest iteration of the Griffin RoadTrip. Dave Zatz: In case the TiVo Central banners, Now Playing List banners, Music & Photos menu banners, banners after recordings, and commercial button overlays weren’t enough, TiVo’s now pitching ads that render while programming is paused.